Brazil. A country of only 500 years, geographically privileged, with multiple natural resources, tropical climate, different biomes and a distinct formation of its society. The three genetic fronts that formed this multicultural country: the portuguese (european), the indigenous (amerindian) and the black (african). Since the XVI century these cultural strands live together under rules that went from Colony to Empire and then Republic; apart of all conflicts and slavery past the black heritage in Brazilian culture was dominant in at least two aspects, the religious and the musical. Religion in Brazil has a higher adherence level compared to other Latin American countries, and is more diverse. The dominant religion of Brazil historically was and still is Christianity. Brazil possesses a richly spiritual society formed from the meeting of the Roman Catholic Church with the religious traditions of African slaves and Indigenous peoples. This confluence of faiths during the Portuguese colonization of Brazil led to the development of a diverse array of syncretistic practices. 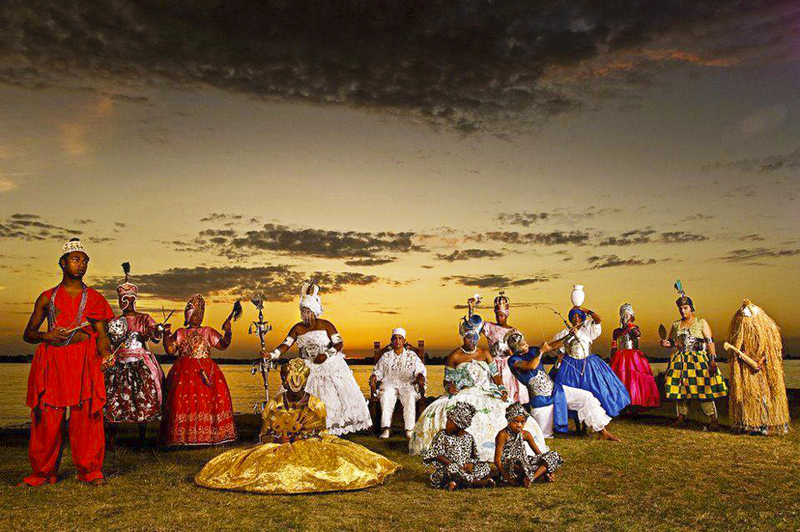 Afro-Brazilian syncretic religions, such as Candomblé (with many followers) are concentrated mainly in large urban centers in the Northeast, such as Salvador, Recife or Rio de Janeiro in the Southeast. 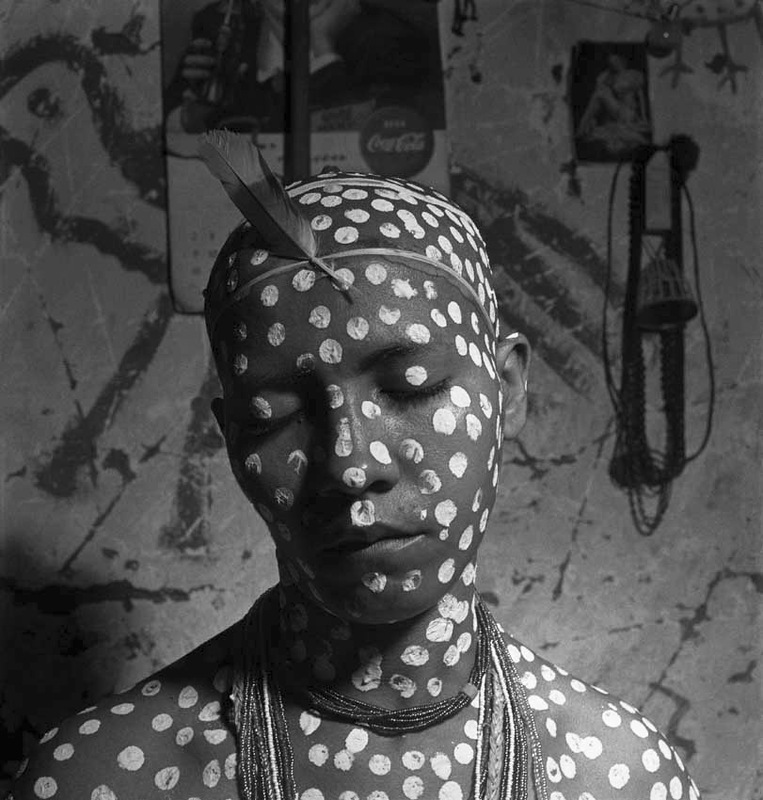 In addition to Candomblé which is the survival of West African religion, there is also Umbanda which blends Spiritism, Indigenous and African beliefs. There is prejudice about African cults (called ‘Macumba’) in Brazil’s south, but there are Catholics, Protestants and other kinds of Christians who also believe in the Orixás, and go both to Churches and Terreiros. These two religions were originally brought by black slaves shipped from Africa (Angola, Congo, Ghana, Benin, Guinea Bissau, Mozambique, etc.) 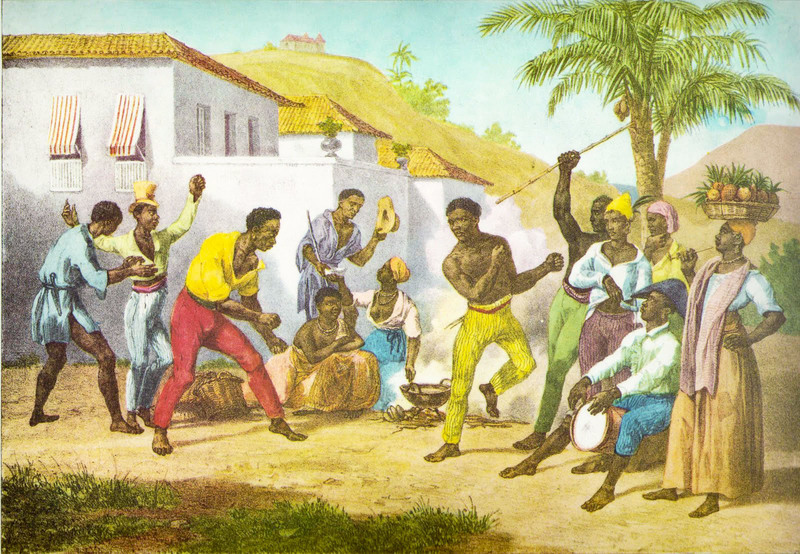 to Brazil, these black slaves would summon their gods, called Orixás, Voduns or Inkices with chants and dances (Capoeira) they had brought from Africa. These cults were persecuted throughout most of Brazilian history, largely because they were believed to be pagan or even satanic. However, the Brazilian republican government legalized all of them on the grounds of the necessary separation between the State and the Church in 1889. 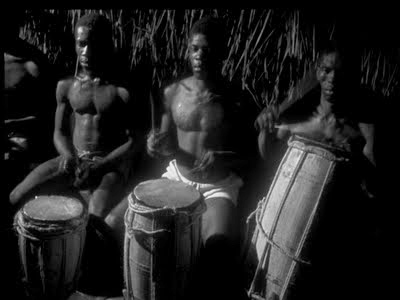 Brazil is well known for the rhythmic liveliness of its music, this is largely because Brazilian slave owners allowed their slaves to continue their heritage of playing drums, unlike U.S. slave owners who feared use of the drum for communications. (!) 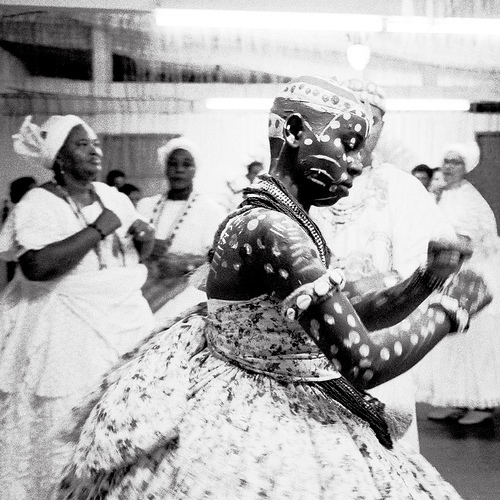 These chants and dances evolved naturally and ascended into all spheres of society, influencing rhythms like Samba and Maracatu. Today’s album shows us in a pioneered way the study and understanding of this musical evolution. For almost thirty years the conductor Abigail Cecílio de Moura led the Orquestra Afro-Brasileira, donating their effort as if it were a religious devotion. Before each presentation, he acted like a priest giving thanks, raising the stage for sacred space. 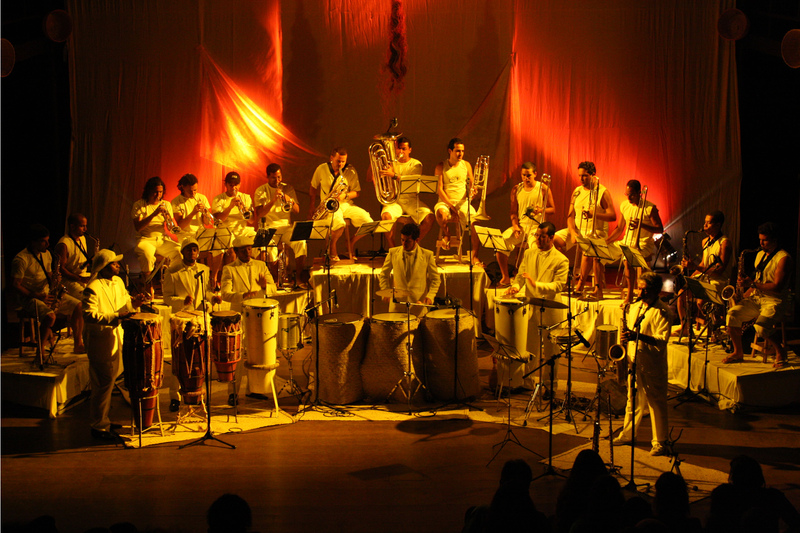 The Orchestra was founded in April 10, 1942, with the purpose of studying and disseminating folk music and Brazilian customs, using sociology and anthropology to disseminate it. Mainly based on percussion instruments, at the time called barbaric, plus the civilized instruments: piano, sax, trombone. 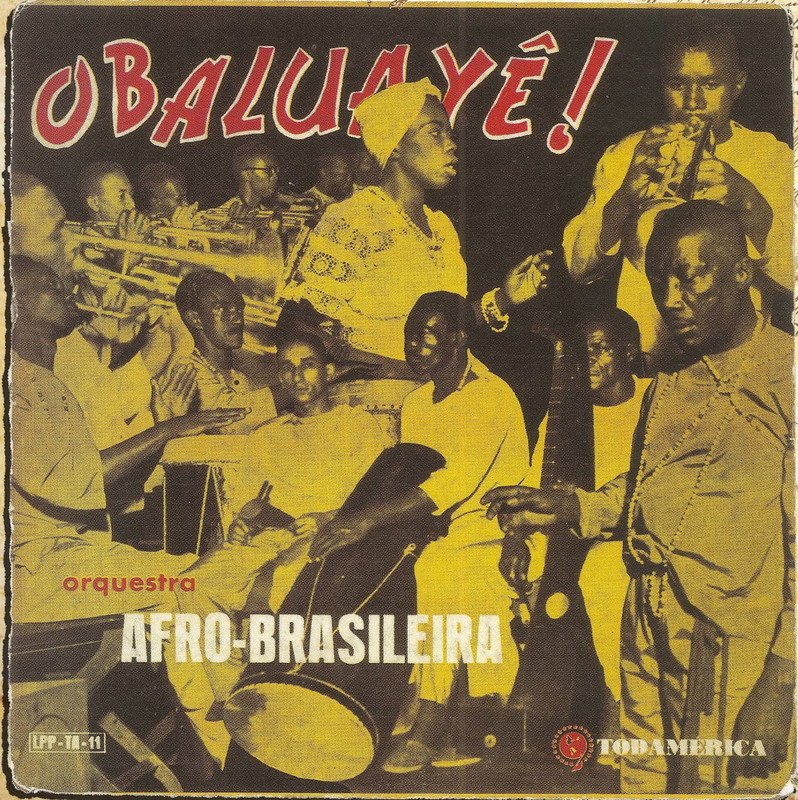 The Orchestra aroused interest because it was considered exotic at the time and many went to concerts by curiosity, his musical diversity would go to Maracatu, Frevo, Jongo, Folklore themes, Umbanda and Candomblé chants. Favoring the Nagô and Bantu legacies, passing through the Portuguese catholic and also the indigenous presence. With a distinct brand from everything that has appeared in our galaxy until now, this obscure record brings the purest roots of brazilian music. Passing away from the Afro-Cuban clichés that were so common to the international audiences and foreseeing the allure of the Exotica genre, this is more closer to the ethnographic music since Malinowski or Levi-Strauss studies. Exceptionally today I will not highlight any track, I believe in the strength of this album as a whole; the prejudice and difficulties that the African traditions passed (and still passes) throughout the eras deserves your fully attention and respect! The second album released by the Orchestra in 1968 is a bit more accessible, with western harmonies and arrangements, though it didn’t have the deserved commercial success as its predecessor and was followed, by Luciano Perrone’s series of Batucada Fantástica. Lately the Orkestra Rumpilezz led by the maestro Letieres Leite made a revival of african chants and traditions, with Afro percussion, modern harmonics and under the influence of jazz. The path started more than 70 years by Abigail Moura is now accessible to all. Geras Kelioné! Wow! I like this a lot. I hadn’t expected it to do so, but it really reminds me of Yma Sumac.Thanks!